All Spike Priggen CDs & MP3s currently available on iTunes, CDBaby and Amazon. TV Neats & The Excerpts "Pop As Can Be & Dance City All The Way"
UPDATE: I'm now sold out of my copies of the original issue of this (although many sellers on Amazon are still selling it.) 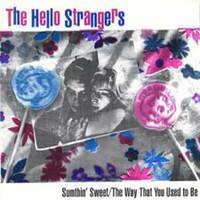 I'm looking into getting a new edition pressed, but it will be a single disc, without the bonus live gig. Click here to buy on Amazon. 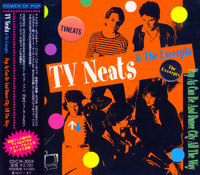 2 CD's of previously unreleased music by the premier Connecticut Power-Pop band of 1981- TV Neats (plus 1 song by The Excerpts featuring Jon Brion). On Japan's Wizzard In Vinyl Label.